Photo courtesy of Susan Polgar Chess Blog. Used with permission. Recently, Dr. Stephen L. Jones responded to a question on the USCF Forum: what has he done wrong or poorly in his promotion and support of chess and what has he learned from his mistakes. This was his response. In 1983, I and four others decided we would bid and try to have the Korchnoi-Kasparov candidates match in Pasadena. We agreed to split all unreimbursed costs. We then played our cards right, wined and dined Campomanes*, and were awarded the right to host the match. We obtained an agreement from Pasadena Community College to use its auditorium as the forum. Thereafter, everything went to hell in a handbasket. Among the five, I was assigned to arrange for television coverage and obtain corporate sponsorships and contributions. No television company was even vaguely interested. I was all but laughed at. A couple of corporations expressed some interest, but eventually withdrew. We ended up with a total of zilch in corporate sponsorships and contributions. And the FBI even contacted me regarding some serious diplomatic problems with having Russians come to the Los Angeles area – it was still the cold war era. The five of us were on the hook for everything. The only significant contribution came from the USCF*, which gave $25,000, but we had to sign a release saying that they would not be responsible for a single penny more. It looked like the five of us would be solely responsible for the payment of several hundreds of thousands of dollars. I considered refinancing my house. Then, the Russians refused to allow Kasparov to participate. I regret to say that that Russian decision saved our bacon. 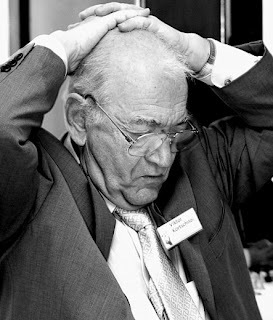 We were only responsible for the reduced prize fund to Korchnoi and for his expenses. We were out only $50,000. Apparently, the Russians believed that they had the clout in FIDE* to vacate the default and to re-instate Kasparov into the candidates cycle. They had miscalculated. In order to re-instate Kasparov, Campomanes required Russia to reimburse us and the USCF. But their payments went to the USCF, who refused to give us our share. The USCF claimed that the release we had signed excused them from having to give us our money. The USCF claimed that the release gave them a right to steal. Eventually, under threats of litigation, the USCF paid us some of the money it received from FIDE. But only after it had taken out its entire $25,000. Finally, the Russians were still $5,000 short of fully compensating us. In exchange for forgiving the last $5,000, they offered to pay for two young Americans to come to a high level chess camp in Russia. We agreed and selected the two players. The USCF took the entire credit for sending the players to Russia. To this day, I do not know if these two players really know who selected them and paid for their trip. It was an eye-opening learning experience in the general American disinterest in chess, in the general disinterest of American corporations to contribute to or sponsor chess, and in the manner in which the USCF sometimes conducted its business. For example, until now, was anyone in this forum even aware of any of these facts? I learned to be realistic and never to underestimate the American public’s disinterest in chess. Unfortunately, we chessplayers have a myopic view of what the rest of America thinks of us. I learned never to underestimate the American corporate disinterest in sponsoring chess. There are some potential sponsors out there, but they are very hard to find and, when found, should be treated with utmost deference and respect. And I learned that the USCF sometimes did not operate fully above-board. If ever I had the chance, I vowed to require that there be full disclosure of all the USCF dealings. As I recently posted in the thread on Open Record Requests, that is required by Illinois law anyway. And I hoped that someday, someone would be on the board with the qualifications to help explain a little about the law and fair play. by Stephen L. Jones. Used with permission. * Editor’s Notes: Florencio Campomanes was the President of the International Chess Federation (FIDE). USCF = United States Chess Federation. The author is a candidate for the USCF Executive Board. The forum question was asked of all of the candidates. He has a doctorate in Mathematics, a master rating in chess, and is a lawyer in California. Thank you Stephen Jones for sharing this piece of chess history. And a belated thank you for all you went through to support chess and to try to make the world a better place.